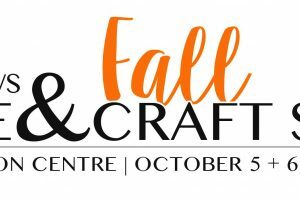 MBM Shows is proud to announce the 27th annual Fall Home & Craft show at the Barrie Molson Centre, October 5th & 6th, 2019. Meet exceptional home & garden businesses and get great advice and amazing deals! Shop locally from some of the best craft and artisan businesses; from baked goods to jewellery at the new Craft & Artisan Alley! It’s never to early for holiday shopping! Brought to you by MBM Shows, Simcoe.com and Metroland Media Group. MBM Shows is honoured to have Kempenfelt Windows & Doors as our returning presenter. Kempenfelt Windows & Doors provides customers with leading products and exceptional service at a competitive price. What started as a simple vision two decades ago is now what defines Kempenfelt Windows & Doors as Barrie’s Favourite Window & Door Company in Simcoe County. Thank you to our line-up of outstanding local sponsors. Please shop local and support these great businesses. MBM Shows updated their profile picture.